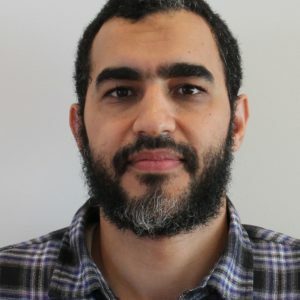 Mohamed joined INL (Dec. 2017) as a Research Engineer in Nanodevices Group, Department of Nanoelectronics Engineering, under Prof. Paulo Freitas’s supervision. After getting bachelor and master’s degrees (2006, 2008) in applied physics and electronic engineering from Tohoku University (thesis title: Photo-response in inter-subband of epitaxial ZnO-based Quantum wells), Mohamed joined NEC Corporation (2008-2010) as a hardware engineer for 2.5 years; and participated in the development of multi-function printers. Following his success in getting an individual research fund from the “Japan Society for the Promotion of Science” (known as JSPS), he accomplished his Ph. D thesis (Oct. 2010 – Sept. 2014) in the university mentioned above investigating: “Multi-functionalities of wurtzite-MgZnO based MTJ devices for high magnetic storage density”. Then, he continued his academic research in the topic of: “Electric-field control of wurtzite-MgZnO based MTJ devices for low energy consumption” as a postdoctoral fellow in collaboration with Kanazawa University. During the period between April 2015 and November 2017, he joined the National Institute for Materials Sciences (NIMS) as an R&D scientist in the Japan governmental project for industry-oriented research called “ImPACT”; and working in the topic of “Developing novel materials as tunnel-barriers in perpendicular-MTJ devices for electrically controlled MRAMs for high magnetic storage density” in collaboration with many leading corporations and research centers in the magnetic storage technologies (Toshiba Memory, TDK, Samsung Electronics, and AIST). Now, he is focusing on the mass production and improvement of high-quality magnetic field sensors for automobiles applications using the fascinating facilities of INL.